The healthcare sector is one industry, which is escalating to newer heights with the transcendence of the technology. We have already seen how the Internet of Things has proved to be a blessing for the healthcare sector, changing its overall facet. The medical science is already moving forward with new accomplishments by initiating highly modernized treatment techniques. Just imagine! If the advanced medical science and healthcare industry gets another boosting tonic in the form of digital transformation, it certainly would be an icing on the cake. But what is digital transformation and how this leveraging technology would prove a valuable performing asset for the healthcare sector is the primal question. The digital transformation is implementing the digitalized technology in almost all business facets to bring a revolution and accelerate the customer operation and services. This newly embedded technology also is a kind of a cultural change that pushes the business entrepreneurs to challenge the current state of things regularly, encouraging them to go for the experiment or accept the failure. One can understand the importance of the digital transformation from the report given by Forrester Research, predicting that half of the organization’s revenue would be driven by digital techniques by 2020. To add more in a survey by Gartner about 56% of the business owners agreed that digital transformation has surged the level of profits. So, the point is if digital transformation is playing such a key role in scaling the organizations to upper heights, why the health sector should lack behind in harnessing its benefits. Today, we would be pinpointing on some important facts to see how the digital transformation changes the face of healthcare industry. The distance treatment or the telemedicine has been the biggest surprise package from the digital transformation to the healthcare sector. The telemedicine has significantly changed the way the patients would receive the treatment offering them a new horizon, which is initiating faster recovery. As such, they are now not restricted to any limitations of scheduling an appointment with the doctor, visiting the hospital or clinic, waiting his turn to arrive and so on. They can get the best quality treatment even from the home comfort zone. The only things required here include a well-connected internet and a smartphone device. It thus saves a lot of their time as well as money. The telemedicine allows them to consult the doctor through a video conferencing or interaction and they can receive their prescription and advice using the devices. Indeed, it has been found out that distance treatment has been also successful in healing the medical condition of the patient. You cam share all your mental stress and problems and the medical professional would help you out in the best possible manner. The hospital staff management at times find it extremely difficult to store and manage the numerous patient data, invoices, and health records. However, with the entry of digital transformation and IoT technology, no more manual work is needed. It instigates the process of digitalizing the entire data and speeds up the workflow with a more effective and seamless result. Digital transformation has given the scope and space to develop intranets, workflows and centralized data storage. It would help the hospital staff to retrieve the data. It is not every time that the doctor is available within the hospital premises to tackle with the emergency cases. 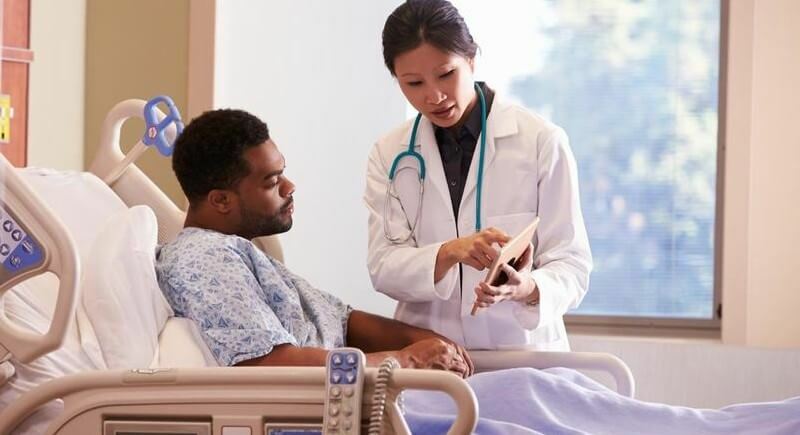 In situations where patients are facing life threats, and the staff is required to take immediate medical attention is needed or on the spot decision, digital transformation can be a life savior. The medical staff or junior doctor can take complete advice through video communication or the VR technology. The doctor can receive the current medical status of the patient in real-time and can guide the staff based on the condition. Most of you would agree upon the fact that the most anxious and nail biting moments for a person is waiting to get the report card of the medical tests. And this is where the cloud and mobile access can prove its worth in providing the accessibility to the patients to view his report from anywhere and anytime of the day. In fact, it has been predicted earlier that during the current year 2018, about 65% of the communication with healthcare professionals would take place on phone. However, the major concern here is with respect to the security issues as data stored in the cloud. Thus, the healthcare industry has to take a serious note on it and enforce the HIPPA law and protocols so that nobody can dare to breach the cyber security. You need to protect the sensitive and confidential data from getting black-marketed. 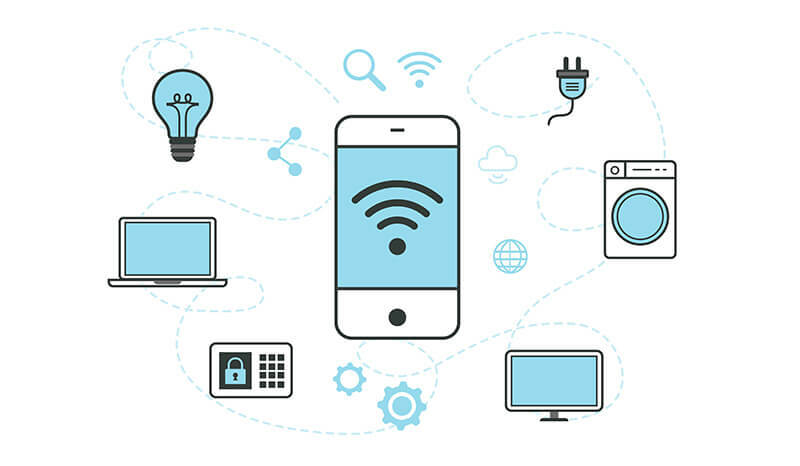 We are already aware that Internet of Things(IoT) has created a huge hype in the tech market and has also been one of the core gifts for the healthcare sector. It is through the help of IoT connected devices that the doctors and healthcare staff are able to accurately monitor the prevailing condition of the patient. As the technology is booming, we are witnessing a dramatic change in the entire system. Yes, the wearable devices have helped a great deal in reducing the dependency on heavy and bulky medical equipments to carry out various tasks. They can perform the role of Electrocardiograms (ECG), blood tests, thermometers and other tests. The best part of the story is that the person can conduct all these tests at home. The result would be sent to the doctor in real-time to get instant feedback. The importance of big data cannot be underestimated in the healthcare industry. You can collect it as a means to satisfy the patient. However, its major part is to spontaneously come across the risk-bearing factors related to health hazards. Plus, it would also offer the optimum advice on the treatment solutions. The Artificial Intelligence is the rightful combustion of Internet of Medical Things (IoMT), the wearable devices and the big data that prepares the most accurate medical report and present new diagnostic methods, which can cure the patient in the quickest of time. 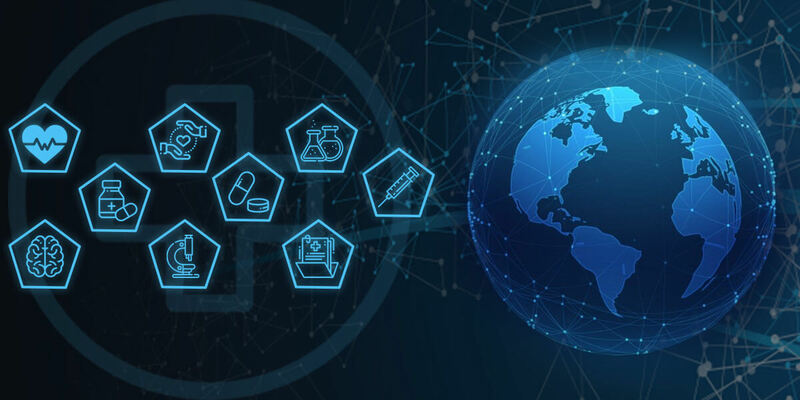 The healthcare sector is moving certainly in the right direction with adequate support from the digital transformation, Big Data, and Internet of Things. All this has reduced the human effort to a great extent and the most exciting part is that it has curtailed the medical expenditure bill of the patients, empowering them appropriately. With digital transformation, the patient does not have to wait in the long queue for getting the treatment as it has introduced Telemedicine, much to their delight. They can even get can access to their reports using the cloud and mobility. All in all, it is excelling the healthcare sector to higher scales along with the Internet of Things. How to Develop a Secure Mobile Banking App?